Vice President Mike Pence released a statement Monday afternoon about the horrific fire at Notre Dame Cathedral in Paris. President Trump also issued a statement earlier today. The fire is still burning into the night, leaving only the frame and front of the building behind. French Ambassador to the U.S. Gerard Araud expressed sorrow, a feeling so many watching share. Fire fighters are working now to save what's left of the building. 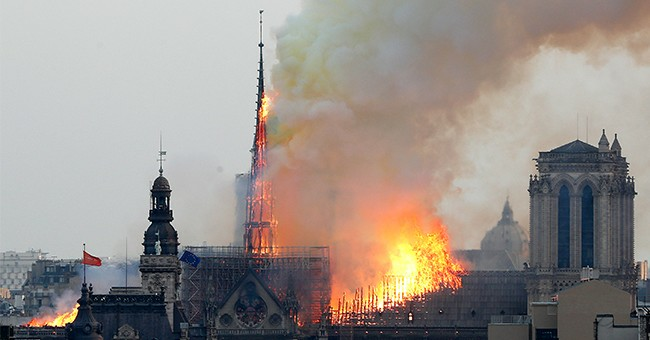 The frame, roof and pire of the cathedral have been completely consumed by flames.